(CNN) Some parents allegedly flew their children across the country so they could take tests with a proctor who fed them the answers. They lied to guidance counselors and psychologists, an affidavit says, and paid someone to take classes for their children to improve their grades. All this, federal prosecutors allege, so their children could gain entry to elite American colleges and universities, including Yale, Stanford and the University of Texas, among others. Thirty-three parents face conspiracy-related charges in the sweeping investigation known as “Operation Varsity Blues,” said Andrew Lelling, the US attorney for Massachusetts. 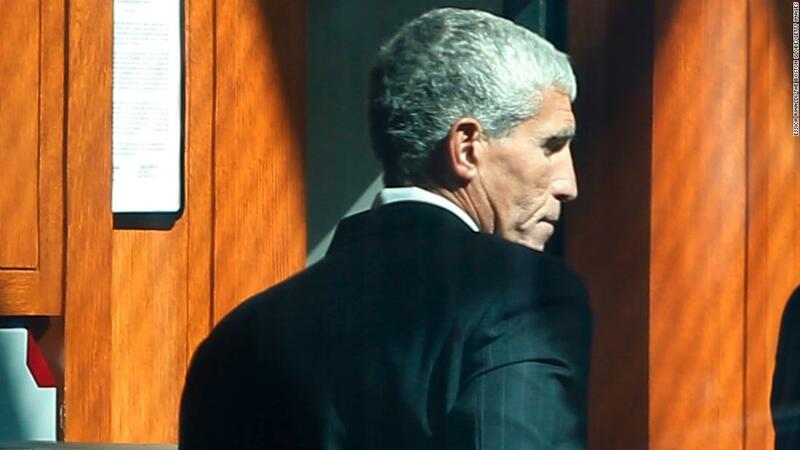 William Rick Singer, the plot’s accused mastermind, boasted to prospective “clients” that he had created a “side door” that would guarantee wealthy families entry to top US colleges. Some parents sought to shield their children from the alleged activity, according to prosecutors; others involved them directly. Singer’s side door, according to federal prosecutors, was a sprawling criminal enterprise masquerading as a charity that claimed to benefit “disadvantaged youth.” But instead of going to charity, prosecutors say, Singer used parents’ “donations” to bribe college entrance exam administrators, coaches and school officials. In all, 50 people face charges, including two SAT/ACT administrators, one exam proctor, nine coaches at elite schools and a college administrator, Lelling said. Singer pleaded guilty Tuesday to conspiracy charges and obstruction of justice, prosecutors said. Several defendants made their first court appearances Tuesday. The fallout has been swift and humiliating, just as one father predicted when discussing the scheme with Singer, according to an affidavit. “The embarrassment to everyone in the communities … ,” the man said, according to an excerpt of a wiretapped conversation. The schools themselves are not facing criminal charges. 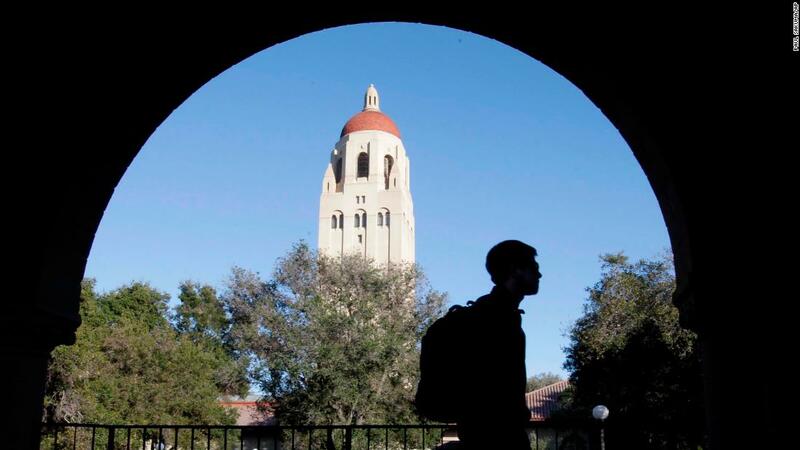 Yale, Wake Forest, UCLA, the University of Southern California, the University of Texas and Georgetown responded to the news with statements calling themselves victims and in some cases announcing internal investigations and firings. The allegations go back to 2011, involving defendants in six states in a web of wealthy families, exam administrators, athletic coaches and other school staff members. The scheme often began when a parent referred another to Singer’s nonprofit, Key Worldwide Foundation, or KWF. Once a family agreed to the scheme, Singer would tell them to seek extended time for the exam by claiming a learning disability for their child. Receiving extra time would let a student take the test somewhere other than their high school, according to prosecutors, such as two test centers where Singer had relationships with administrators who took bribes: defendants Niki Williams in Houston and Igor Dvorskiy in West Hollywood. CNN has reached out to Williams and Dvorskiy for comment on the allegations. For students to get extended time, they had to obtain medical documentation of learning disabilities. Singer offered guidance on this, too. He allegedly told a father that his daughter needed to act “stupid” when a psychologist evaluated her. Singer also suggested to Gordon Caplan that he hire a member of Singer’s staff to take classes as his daughter to improve her grades. CNN reached out to Caplan for comment on the allegations. Caplan is accused of donating $75,000 to KWF for Singer’s help setting up a “controlled” ACT exam for his daughter with a proctor who corrected her answers after she had completed it. Caplan and his daughter flew to Los Angeles in July to meet with a psychologist so she could get medical documentation for extended time. When she received the extension, they returned to California in December so she could take the test in West Hollywood. Caplan, a lawyer who lives in Connecticut, told Singer he had no “moral issues” about the scheme, according to an affidavit. Caplan said his concern was that his daughter would be “finished” if she got caught, according to an excerpt of a wiretap transcript. Caplan also feared that a student from Connecticut taking a test in California might arouse suspicion. Singer suggested they say they were going to a bat mitzvah or a wedding, advice he dispensed to several clients, according to the affidavit. It’s not clear if Caplan acted on Singer’s advice to have someone take classes in his daughter’s name. But the affidavit alleges that other parents did, using one of Singer’s employees. Other times, parents paid Singer to have someone take the test for their children. California businesswoman Lindsay Buckingham allegedly gave Singer a sample of her son’s handwriting so the person who would take the test for the teen in Houston could match his handwriting. She also requested a copy of the test so her son could take it at home without knowing what was going on, the affidavit says. Her son, Jack Buckingham, apologized after the scandal broke. “I am upset that I was unknowingly involved in a large scheme that helps give kids who may not work as hard as others an advantage over those who truly deserve those spots,” he said in a statement. Coaches and university staff were also part of the alleged plot, prosecutors claim. In exchange for the bribes, coaches designated the children as athletic recruits regardless of their abilities, even in cases when the children had no intention of playing. The coaches and staffers face conspiracy charges for allegedly submitting the applications and shielding the families from consequences when the students did not actually end up playing on teams. In some instances, the parents allegedly assisted Singer and the coaches in creating fabricated athletic profiles by providing staged photos of their children engaging in athletic activity. In other cases, they signed off on embellished or falsified resumes of their children’s accomplishments created by Singer and his associates, including some that used pictures of other children. 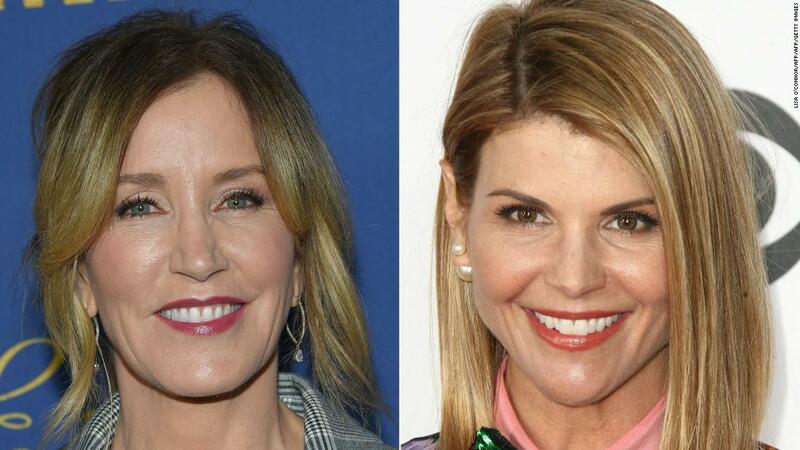 Actress Lori Loughlin and her husband, Mossimo Giannulli, are accused of paying bribes totaling $500,000 to have their two daughters designated as recruits to the USC crew team even though they did not participate in crew. For each application, the couple gave Singer photos of their daughters on an indoor rowing machine. They both attend USC and are not members of the crew team. CNN has reached out to the couple for comment. Their daughters — like the children of other accused parents — are not named in court documents, and they haven’t been charged. CNN has also contacted Iconix Brand Group, which owns Giannulli’s namesake fashion company, Mossimo. Another family vying to get their son into USC as a football recruit in 2015 sent photos of his brother, noting “the boys look alike.” After several rounds of emails to complete the boy’s profile, USC sent him a formal acceptance letter. The son deferred his admission, ultimately matriculating in 2017. He did not join the football team. CEO Devin Sloane’s son did not play water polo competitively, the affidavit states. So he sought assistance from a graphic designer to help him create a picture using photos of other water polo athletes. And he purchased water polo gear, including a ball and a cap, on Amazon.com to perfect the look, according to the affidavit. CNN has reached out to Sloane for comment. In June 2017, Sloane allegedly emailed Singer a photograph of his son purporting to play water polo with his right arm and upper torso exposed above the water line. Singer’s feedback was that the boy was “a little high out of the water — no one gets that high,” according to the affidavit. After he fixed the photos, the teen’s application was submitted to USC with a sports profile that included false credentials. When his son was accepted, a counselor at his high school questioned why he got in as a water polo athlete since the school did not have water polo team, the affidavit says. Donna Heinel, USC’s senior associate athletic director, allegedly intervened, telling USC’s director of admissions in an email that the teen played on a club team that participated in tournaments in Portugal, Greece and Serbia, which was how he met USC water polo coach Jovan Vavic. Later that year, in a wiretapped phone call, Sloane allegedly boasted to Singer about misleading USC’s advancement office about the reason for the $50,000 payment to USC as part of the scheme, according to the affidavit. “I said, ‘Well you know, my mom, my mother was an Olympic athlete and she just passed away last year, and we as a family decided that we wanted to support women’s — women’s sports,” Sloane said, according to a transcript excerpt. 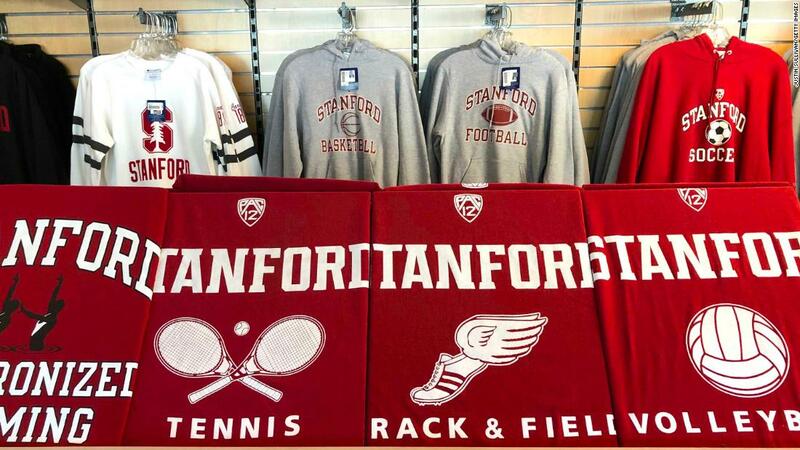 The University of Southern California said it has fired Heinel and Vavic, who are both charged in the scheme. CNN has reached out to them. Often, Singer’s clients were repeat customers, according to prosecutors, bribing coaches as well as test administrators. Elizabeth and Manuel Henriquez of Atherton, California, are accused of participating in the cheating scheme on four occasions for their two daughters. CNN has reached out to them for comment. 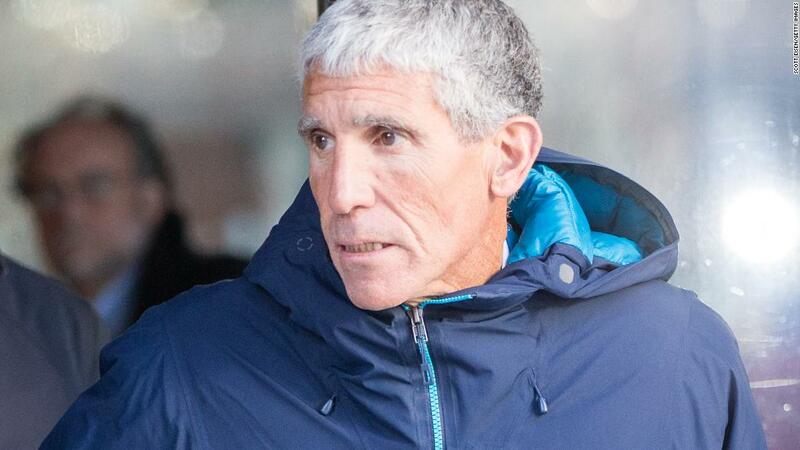 In August 2015, the affidavit claims that Singer helped the Henriquezes bribe Gordon Ernst, the head tennis coach at Georgetown University, to designate their older daughter as a tennis recruit to facilitate her admission to Georgetown. CNN has reached out to Ernst, who is now a coach at the University of Rhode Island. The school placed him on administrative leave and said in a statement that he has not been involved in recruiting current players or signing new ones. Elizabeth Henriquez and her daughter let Singer change her daughter’s essay to include false statements, according to an affidavit. Her application said she played “club tennis” throughout high school, earning a “Top 50 ranking” in the US Tennis Association Junior Girls Tennis for her sophomore through senior years, among other distinctions. USTA records do not show that she played at any USTA tournaments in high school. Then, in fall 2015, prosecutors allege the Henriquezes paid Singer $25,000 to arrange for a proctor to correct their older daughter’s SAT exam after she took it at her school, prosecutors allege. The proctor, who is cooperating with the government, told investigators that he sat “side-by-side” with her during the exam and gave her answers. After the exam, according to the affidavit, “he ‘gloated’ with Elizabeth Henriquez and her daughter over how they cheated and gotten away with it.” She received a score of 1900 out of a possible 2400, an improvement of 320 points over her previous best score, prosecutors allege. The Henriquezes then allegedly made a deal with Singer to arrange their younger daughter’s ACT exam at the Houston Test Center in October 2016. Elizabeth Henriquez emailed a counselor at her daughter’s high school saying that they had to be in Houston on the day her daughter wanted to take the ACT. The same proctor who oversaw the older daughter’s exam flew from Tampa to Houston for the exam on October 22, the affidavit alleges. The proctor told law enforcement that he discussed the answers during the exam with Henriquez’s daughter and another student, “but directed them each to answer different questions incorrectly in an effort to conceal their cheating,” according to the affidavit. Manuel Henriquez has voluntarily stepped aside as chairman and CEO of Hercules Capital, according to a company statement. He will continue as a member of the company’s board and an adviser to the firm, it said. Often, parents said their greatest concern was making sure that their children would not discover the alleged fraud, although it appears that in several cases, the children may have been involved in the alleged activities. Singer assured them they would never know, but the affidavit suggests that threats occasionally surfaced. In one instance, a mother told Singer that her son’s adviser at USC asked him about being a track athlete. Her son said he was not, because he did not know what his parents had done, “the way we want to keep it,” the woman said, according to an excerpt of a wiretap transcript. Singer told her not to worry. If the adviser — or anyone else — started asking questions, they would eventually end up talking to “the person who’s responsible for all of this,” he said. He was referring to Heinel, who allegedly helped to doctor the profile of the woman’s son, and many others. “She’ll just say he decided not — to not compete,” he said.